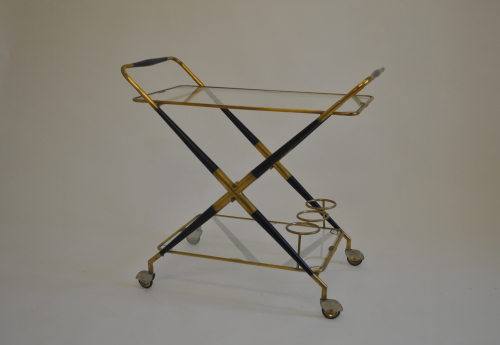 Particularly nice 1950`s Italian ebonised and brass serving trolley. Removable trays and collapsable frame. Bottle holder on lower tray.